This page notes details of The World Tree (Spell Card/Continuous) : decks, tips, effect and rulings. Learn and enjoy playing Yu-Gi-Oh! Duel Links! 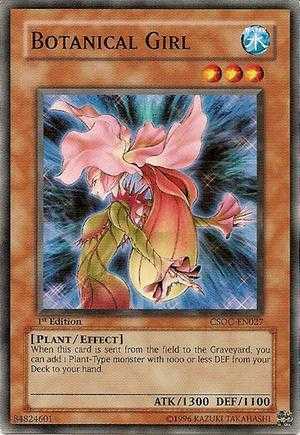 Each time a face-up Plant-Type monster(s) on the field is destroyed, place 1 Flower Counter on this card. 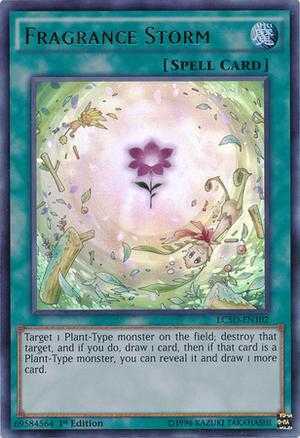 You can remove any number of Flower Counters from this card to activate these effects.● 1 Counter: Target 1 Plant-Type monster on the field; that target gains 400 ATK and DEF until the end of this turn. (This ATK gain remains even if this card leaves the field. 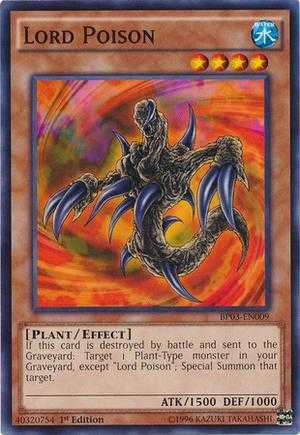 )● 2 Counters: Target 1 card on the field; destroy that target.● 3 Counters: Target 1 Plant-Type monster in your Graveyard; Special Summon that target. 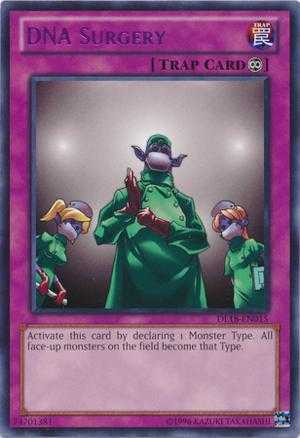 Has many effects, including: Attack boost, destroying a card on the field and reviving you own plant-type monster. effects can be used multiple times. Can only use it's effects if you have the required number of counters. Counters are not that easy to obtain. Change all face-up monsters on the field to Plant-type. Therefore if any monster on the field is destroyed you gain a counter, making your gathering of counters more efficient. Use Fragrance Storm to destroy a Plant-type monster on the field to draw a card and add a counter to The World Tree. Can be comboed with DNA Surgery, to allow you to destroy any face-up monster on the field. Some plant monster's effects are activated when they are destroyed. Botanical Girl allows you to search your deck for another Plant-type monster with 1000 or less defense. Lord Poison revives any Plant-type monster in your graveyard, when he is destroyed by battle. Naturia deck is full of Plant-type monsters which would benefit from The World Tree. Remove 1 counter to give your Naturia monster a much needed attack boost, remove 2 counters for card removal, or remove 3 counters to revive a Plant-type monster in your graveyard adding to the already excellent swarm potential of Naturia. Perfect in a mirror match or against an opponent who uses plant cards,destroy one monster get one token free.Still really good in any plant deck. Sad ur head. U still want nat to get better? Greedy fuk.